Why an overhaul of recruitment, resettlement and retirement polices for the armed forces is necessary. 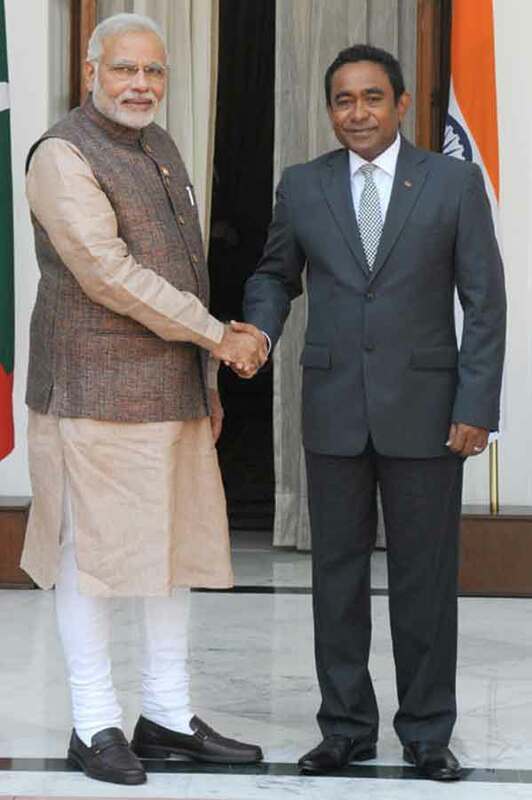 As per media reports, Maldives president Abdulla Yameen has written to Prime Minister Narendra Modi to assure him that there will be no militarization in the Indian Ocean. This was obviously in response to recent Indian concerns about the recent constitutional amendment which allowed foreigners to own land in the island nation. Earlier on July 23, after ratifying the constitutional amendment that was passed by the Parliament, Yameen had publicly stated, “The Maldivian government has given assurances to the Indian government and our neighbouring countries as well to keep the Indian Ocean a demilitarized zone.” Indian concerns were quite natural because Maldives is located about 600 kms off the southwest coast of India and 750 kms southwest of Sri Lanka. Maldives consists of a double chain of 26 atolls spread over 90,000 sq kms of territory. It has over 1000 islands that are uninhabited and the country appears getting radicalized at fast pace. Its geostrategic value lies in its location astride three of the most important SLOCs through which most of India’s trade and oil requirements pass, apart from its close proximity to India and Sri Lanka. In this undated image released by the FBI, Mullah Omar is seen in a 'wanted' poster. Mullah Omar, the reclusive head of the Afghan Taliban, was last seen in December 2001 when he escaped from Kandahar, Afghanistan, riding pillion on a motorcycle. Thereafter, he hid in Maiwand briefly before moving to Quetta in Pakistan. No sighting was reported subsequently. His last audio statement was issued in 2006. Two or three statements would issue in his name annually, normally around Eid or regarding a major development in Afghanistan. The last one, issued during Ramzan in mid-July, was significant as it supported, for the first time, the peace talks between the Afghan Government and Afghan Taliban representatives held on July 7, 2015, in Murree, Pakistan. The representatives of China and the United States also participated. 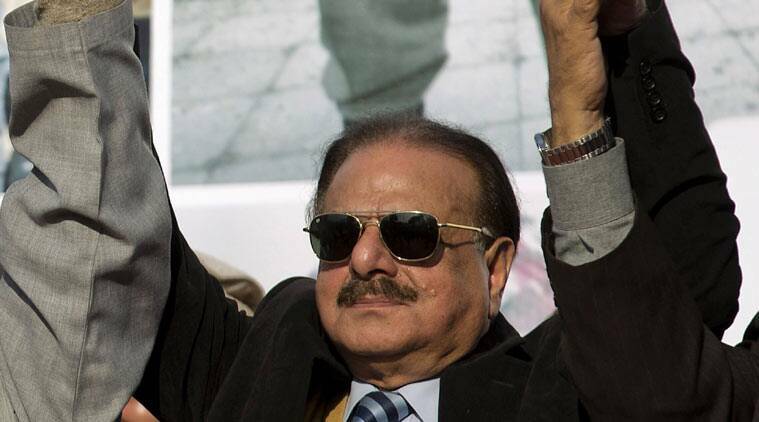 Terror’s godfather Hamid Gul’s legacy is an army that is both a patron and a victim of terror. Known as the “father of the Taliban” – a moniker many in Pakistan lay claim to – Gul was the protégé of former Pakistani dictator, General Zia ul-Haq. Hamid Gul, the former head of Pakistan’s Inter-Services Intelligence spy agency, who passed away on August 15, was the epitome of a Pakistan army officer who became an advocate and supporter of the global jihad. His legacy is an army that remains both a patron and a victim of terror. South Asia and the world are more dangerous thanks to his years of duplicity and violence. Gul died at the age of 78 in Murree. He joined the Pakistan army in 1956 and fought in the 1965 and 1971 wars with India as a tank commander. He became a protege of General Zia-ul-Haq and succeeded his patron as commander of the powerful First Armoured Division in 1980 after Zia had seized power in a coup. Sure enough, with the announcement of Mullah Omar’s death, momentum toward peace came to a halt. The meeting set for July 31 was postponed indefinitely. Then Omar’s successor, Mullah Akhtar Mohammed Mansour, rejected negotiations altogether and reissued the call for jihad against the United States and the Afghan government. Nearly a week after that, over the course of four days, three bombings wrecked Kabul, killing and injuring nearly 400 Afghans. The Taliban claimed responsibility. The question now is whether the window for peace talks is closed. 'In an extreme scenario, India can destroy Pakistani strategic targets by just artillery shelling, crossing of the border is not even necessary,' says Colonel Anil A Athale (retd). 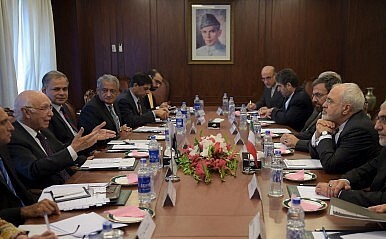 India and Pakistan's national security advisors are slated to meet on August 23-24 in New Delhi. According to the agenda set by the two prime ministers, the two NSAs are to discuss terrorism. There has been the usual political slugfest between the ruling party and those in the Opposition. In the noise and din, a central point that has been lost is that these are basic contacts meant to keep the communication going and are NOT any kind of negotiations. But with the latest twist of Pakistani invitations to Kashmiri separatists, it seems that the talks may well not take place at all! 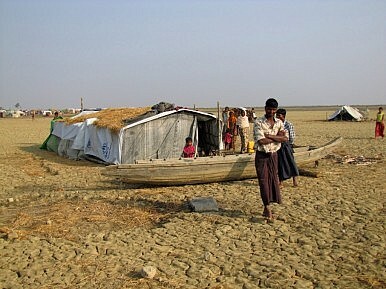 It took the foreign ministers of Malaysia, Indonesia and Thailand more than ten days to sign a joint agreement that would allow the rescue of thousands of dehydrated and starving Rohingya and Bangladeshis who had been drifting in the Andaman Sea for weeks. Under enormous international pressure, these three countries offered to help 7,000 people at sea. In fact, their gesture is far less meaningful than it seems. Alarmed by the first arrivals on 10 May, at first, the three countries stepped up their maritime patrols. Indonesia sent out three more warships and a plane to control its territory. Instead of allowing people in dire need to disembark, their boats were pushed back into sea after being provided with food, water and fuel to continue their journey. Each government claimed its country was not the desired destinations of these boatpeople. This deadly ping-pong continued, despite harsh criticism from the United Nations High Commissioner for Refugees (UNHCR) and the International Organization for Migration (IOM), which warned that any further delay would turn these boats into floating coffins. China conducted a flight test of its new intercontinental ballistic missile (ICBM) this month. He goes on to note that this is the fourth time in the past three years that China has tested the DF-41, indicating that the missile is nearing deployment. 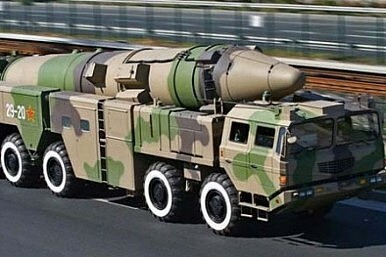 Notably, according to Gertz, in the latest test China shot two independently targetable warheads from the DF-41, further confirming that the DF-41 will hold multiple independently targetable reentry vehicles (MIRV). As I’ve noted before, China’s acquisition of a MIRVed capability is one of the most dangerous nuclear weapons developments that no one is talking about. One week ago today, explosions in Tianjin left a giant crater where a chemical warehouse used to be and burned out 20,000 square meter of the surrounding area. As of Monday, the death toll had grown to 114, with 70 still missing (although not all of the deceased have been identified, so there may be overlap between the death toll and the list of missing persons). It was soon revealed that the blast had occurred at a warehouse storing hazardous materials, which launched a nationwide review of how Chinese businesses store and transport dangerous chemicals. 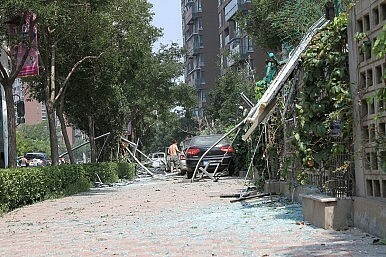 The Chinese government also appears to be moving swiftly toward taking legal action in response to the explosions. On Wednesday, Xinhua interviewed executives of Tianjin Ruihai International Logistics Co. Ltd., the company that owned and operated the warehouse at the center of the explosion. Tellingly, the Xinhua lede introduced the firm as “a dubious company” and noted that all of executives interviewed for its story (“including company head Yu Xuewei, deputy head Dong Shexuan, general manager Zhi Feng and vice manager Cao Haijun”) are being held by the police. Have China's CO2 Emissions Been Greatly Overestimated? How much does carbon dioxide does China really emit? 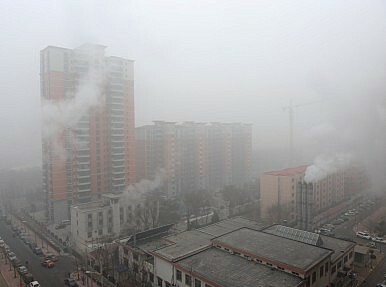 The question has long been a vexed one, particularly at climate talks, and is crucial because for almost a decade China has been ranked as the world’s largest emitter of the gas blamed mainly for climate change. That means the world’s largest energy consumer is under strong pressure to sign up to a global deal in Paris at the end of year that limits future growth in its CO2 emissions. But China’s output of CO2 may have been substantially overestimated by international agencies for more than 10 years, mainly because researchers have factored in the wrong type of coal, says a new study by the United Kingdom’s University of East Anglia (the full report will be published in Nature Magazine’s website on August 20). In terms of climate change, this matters for several, crucial reasons. China is challenging all major foundations of American military power, a former U.S. defense official said in a speech Wednesday. Since the end of the World War II, U.S. military superiority has relied on three major foundations, Trey Obering, the former director of the Missile Defense Agency (MDA), told an audience at the Hudson Institute, a Washington, D.C.-based think tank. These were superior strategic intelligence, surveillance and reconnaissance capabilities (ISR); the ability to project power globally; and an overwhelming dominant technological advantage across a spectrum of conflict. But China, Obering said, was now challenging all three of these major foundations of American power. “I believe that China is challenging the United States, specifically targeting our strategic ISR, our power projection capabilities, and our technological advantages with their missile programs,” he said. Last week was an eventful one for China. First, the People's Bank of China shocked the financial world when it cut the yuan's reference rate against the U.S. dollar by nearly 2 percent, leading to a greater than 2 percent drop in the value of the yuan in offshore trading. The decline triggered a frenzy of speculation, including some expectations that the Chinese move would trigger a race to the bottom for Asian currencies. Beijing said the adjustment was designed to fix distortions between the trading rate of the yuan and the rate it should have been at according to speculation, and that subsequent large shifts were unlikely. The International Monetary Fund, however, noted that the move could lead to a freer floating yuan - something the IMF has asked of Beijing before the organization considers including the yuan in its Special Drawing Rights basket of currencies. In comments made on the sidelines of its annual report on the Chinese economy, released later in the week, the IMF also noted that the yuan was not undervalued, despite the decline. One of the contentious debates surrounding the recent nuclear deal with Iran concerns whether or not U.S. negotiators should have demanded broader shifts in Iranian foreign policy before signing any agreement. Critics of the deal argue that by providing sanctions relief before Iran curtailed its support for Hamas, Hezbollah, Houthi rebels, and Bashar al-Assad, the United States effectively agreed to bankroll Iran’s regional influence. In response, the Obama administration has argued that by focusing on Iran’s nuclear program, U.S. negotiators were better able to avoid war while containing the most threatening of Iran’s ambitions—namely, its quest for nuclear weapons. This controversy raises a broader question: can U.S. agreements with nuclear-aspiring adversaries persist over the long term without a broader resolution of bilateral tensions? I am currently revising a book manuscript that directly addresses this question by identifying the conditions under which nuclear aspirants comply with or defy U.S. demands for nuclear restraint. In my research, I have found that states peacefully give up their ambitions when they expect to suffer steep military or economic costs for pursuing nuclear weapons and when their security environment no longer compels them to acquire a deterrent. Oil can buy one amazing military. For Saudi Arabia, the conservative Gulf kingdom whose number one priority in the region is to keep the status quo, it’s hard not to come to the conclusion that the entire Middle East is on the fire. Indeed, if Saudi Arabia resembled a giant mansion in the middle of the neighborhood, the rest of the street would be littered with abandoned houses and empty lots. In other words, the neighborhood outside the Kingdom doesn’t look good at the moment, and King Salman bin Abdulaziz knows it. With Syria largely split among what is left of the Assad regime and dozens of Islamist factions, Iraq in the middle of its own large-scale war with ISIL, Yemen in a state of civil war, and ISIL launching sporadic terrorist attacks on mosques and police officers in the Kingdom itself, King Salman’s number one job is ensuring that the Saudi armed forces have the equipment and support that they need. To that effect, the Custodian of the Two Holy Mosques is doing his job quite well. The case of Islam's Prophet Mohammed (570-632 AD) is different. There are detailed histories of his life, and Mohammed's tomb in Medina (along with those of his family and early companions) has stood continuously since his death. The monumental al-Masjid al-Nabawi mosque was constructed around the tomb, which sits on the site of Mohammed's home. Muslims around the world revere the place, and each year hundreds of thousands visit it as a side trip on the hajj pilgrimage to the black granite Ka'aba building in Mecca. The two cities, Mecca and Medina, are in Saudi Arabia. Thus the Saudis are custodians of Islam's two holiest sites, and Saudi Arabia is the geographical center of Islam. And then Sen. Schumer got a surprise: two high-level groups with stellar credentials, one of senior nuclear scientists and the other of retired generals and admirals, came out in support of the deal. If the United States walks away from this deal, other nations will not follow. Why should they? U.S. allies support the deal we already have. In fact, they negotiated it. The United States worked in lock step with the United Kingdom, France, Germany, Russia and China. If this deal goes down the drain, there will be no other deal. We Asked Joseph Nye: What Should Be the Purpose of American Power? Since World War II, the United States has led, albeit imperfectly, in the production of global public goods such as a balance of military power, international monetary stability, an open trading system and freedom of navigation. That leadership should continue to be a central purpose of our foreign policy, because if the strongest country does not produce public goods, we and others will suffer from their absence. Americans go through cycles of belief that we are in decline. While the United States has many problems (nothing new there), it is not in absolute decline like ancient Rome, which had no productivity growth. Because of immigration, we are the only major developed country that will not suffer a demographic decline by midcentury; our dependence on energy imports is diminishing rather than increasing; we are at the forefront of the major technologies that will shape this century; and our universities dominate the world rankings. We have more allies and connections than any other country. We Asked Paul Kennedy: What Should Be the Purpose of American Power? "Its purpose should be to sort out its international purpose." The American nation-state, as Bismarck once observed, is quite lucky. It is blessed with abundant woods, grass and water. It possesses vast amounts of raw materials. It has a benign, prosperous, unthreatening neighbor to the north and a messy, unthreatening neighbor to the south; by contrast, Russia and China each have fourteen troublesome ones. The nearest large military powers to the United States lie three thousand miles across the Atlantic, and, ignoring Alaska, six thousand miles across the Pacific. "First, we must reinvigorate our military." Jacob Heilbrunn, spoke with Henry Kissinger in early July in New York. Why Are So Many of the World’s Best Companies Run by Indians? In the popular imagination, India is perhaps best known for its exports of curry, yoga, and Bollywood films. But another product is becoming a winner, too: chief executives of major multinational companies, including several based in the United States. The most recent to join this growing group is Indian-born Sundar Pichai, just named chief executive of Google after its reorganization. He joins Satya Nadella, the Indian-born head of Microsoft, who got the top job there last year; and chief executives of Indian origin have or continue to run major firms such as Citibank, MasterCard, and PepsiCo. According to a study in Harvard Business Review, as of mid-2013, India’s export share of Fortune Global 500 company CEOs — that is, CEOs who are heads of companies headquartered in a country not their own — is 30 percent. That places India in territory comparable to countries like Switzerland and the United Kingdom. Because of the visibility of these posts, the success of Indian-born chief executives in the cutthroat global arena is quite striking to their fellow Indians. To think that a country that until recently was considered synonymous with poverty and destitution is now producing world-beating chief executives at iconic global companies is a source of national pride. Now is the time to understand more about vuln, so that we may fear less. The Defense Information Systems Agency on July 24 issued three new documents targeting cloud security, including two new requirements guides and a new concept of operations. The three new documents more thoroughly define cloud security and the steps to achieving it, outlining the responsibilities of the organizations and managers increasingly capitalizing on commercial cloud offerings. 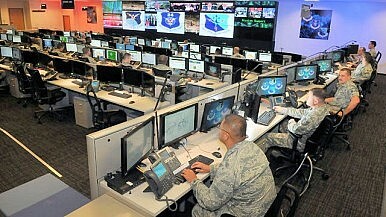 The release underscores the Defense Department's growing adoption of commercial cloud offerings. The cloud access point (CAP) functional requirements document (FRD) prescribes a barrier of protection between the Department of Defense Information Network (DoDIN) and Internet-based public cloud service offerings, directing defense agencies to implement protections for the connection points linking the two. The first DISA-established CAP is a modified NIPRNet federated gateway, according to the documents. Satya Nadella’s appointment as Microsoft’s CEO was greeted with headlines such as “Why Microsoft and Everyone Else Loves Indian CEOs,” echoing Time’s 2011 lead heralding “India’s Leading Export: CEOs.” But have Indians really risen to the top of many of the world’s largest corporations? A systematic analysis of mid-2013 data on the world’s largest firms by revenue, the Fortune Global 500, shows that at that time only three non-Indian firms were led by Indian CEOs: Arcelor Mittal (Lakshmi Mittal), Deutsche Bank (Anshu Jain), and PepsiCo (Indra Nooyi). That was exactly the same as the number of non-Brazilian firms run by Brazilian CEOs, and short of the 5 non-South African firms led by South African CEOs. Does the paucity of Indians at the top of non-Indian Fortune Global 500 corporations mean that the late C. K. Prahalad’s assertion that “Growing up in India is an extraordinary preparation for management” was wrong? Not necessarily. Indians have indeed gone out and achieved great managerial success abroad. The proportion of Silicon Valley tech startups led by Indians has risen from 7% in the 1980s and 1990s to at least 13% and by some estimates more than 25% (even though Indians make up less than 1% of the US population). One estimate pegged the annual income of the Indian diaspora at about one-third of India’s GDP, with much of that coming from Silicon Valley.